A master bedroom with queen size bed and pretty dim lights. A living room with TV corner, dining area with sofa and sofa bed. 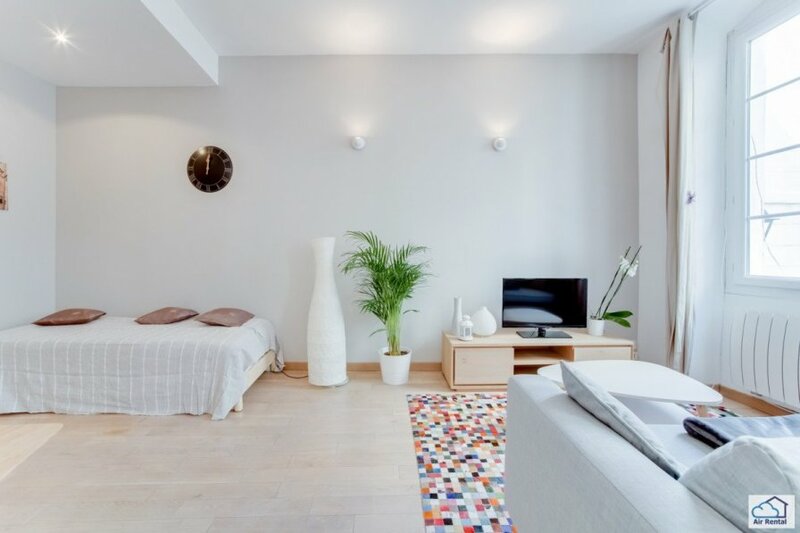 Ideally located in the Panier, between the Place de Lenche and the Cathedral of La Major, 5 minutes from the Old Port and Mucem, this is the place for a stay in Marseille. If you wish to arrive after 21:00, please make a request to the Keeper in charge of the accommodation. A supplement of 15 € to be hand-delivered will be requested for the delivery of the keys. Departures are at 11am at the latest. We live in Marseille: This city has almost no secret for us. We are happy to answer your questions. We have everything you need for a pleasant stay in Marseille. Feel free to send us your comments. Being transparent means we can improve ourselves, and therefore offer the best possible service. The neighborhood is renowned for its authenticity with its streets and the beige / ocher color of its homes, which will recall the famous series on France3. Old Port, one of the most emblematic places in the city. The device is managed by your host, whom we call Guardian. He is at your disposal throughout your stay, he takes care of the household, your reception and your departure. Feel free to share your feelings about the service offered with your Keeper in improving it. For all complementary services, we invite you to contact your Keeper. In most cases, he will honor your request. (Reservation of taxis or restaurants, courses, flowers, trips ...).